"Ako's Babalik" is actually a local song by popular band Callalily. It is the perfect song to describe my feelings towards Concho because one, it is co-owned by Callalily members Tatsi Jamnague and Kean Cipriano and two, I will certainly come back in the near future. 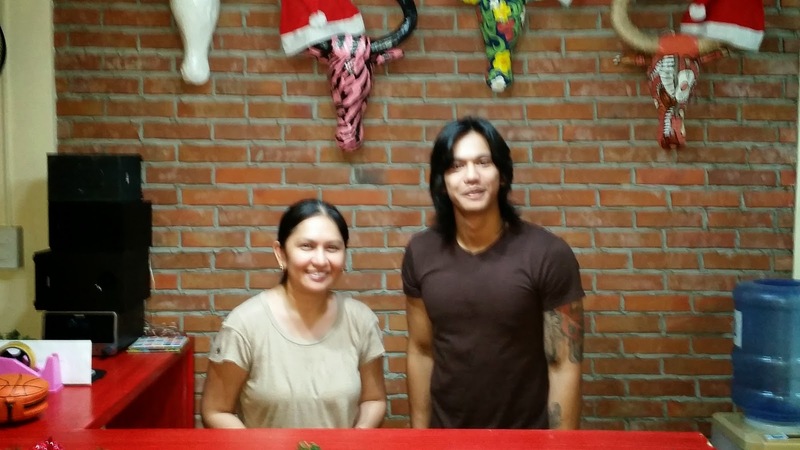 The other owners are husband and wife tandem Darwin and Kathy Hernandez. 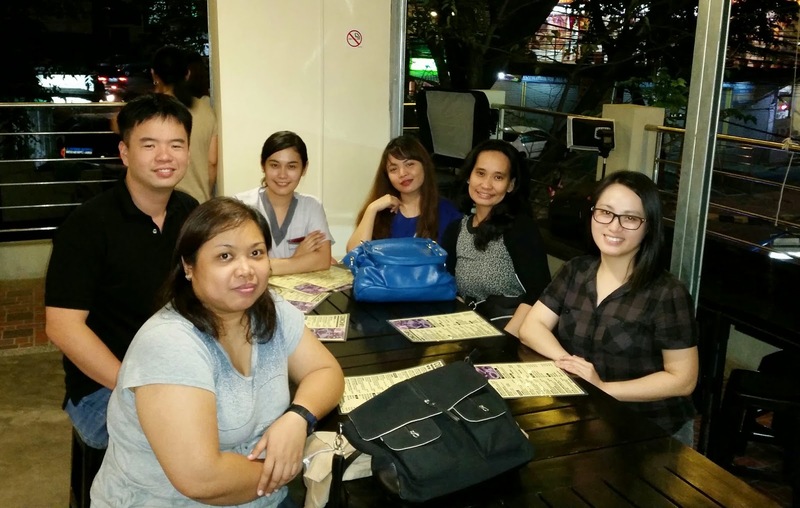 It was actually my first time to go to Lilac Street along with my officemates after months of planning. Lilac Street is one of the streets in the city that is popping up with affordable restaurants. It is quickly catching up with Maginhawa and Kapitolyo as streets that foodies go to in order to eat delicious and affordable food. 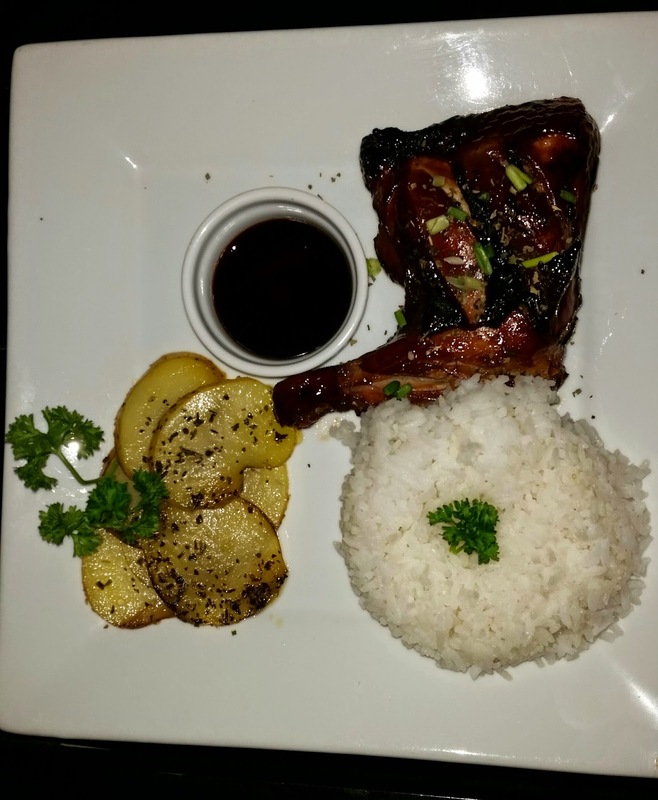 I could actually eat the Baked BBQ Chicken (P180) without rice. The baked herb potatoes that were served along with the tender quarter chicken was real tasty. It wouldn't take two guesses to find out that their house specialty is the sisig. 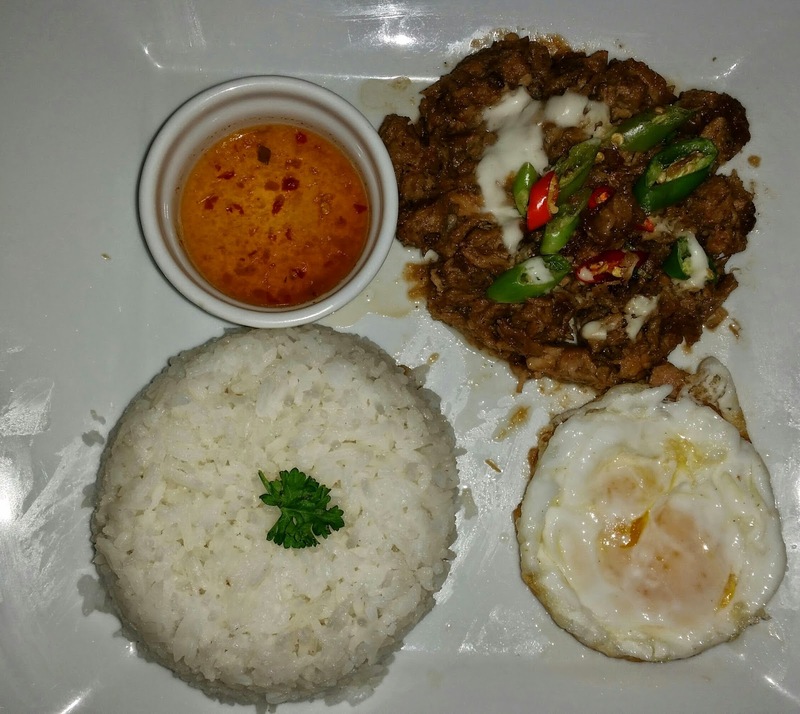 It is available in a serving for 2 to 3 people as the Concho's Super Sisig Size (P280). I loved the crunchiness of the sisig myself. 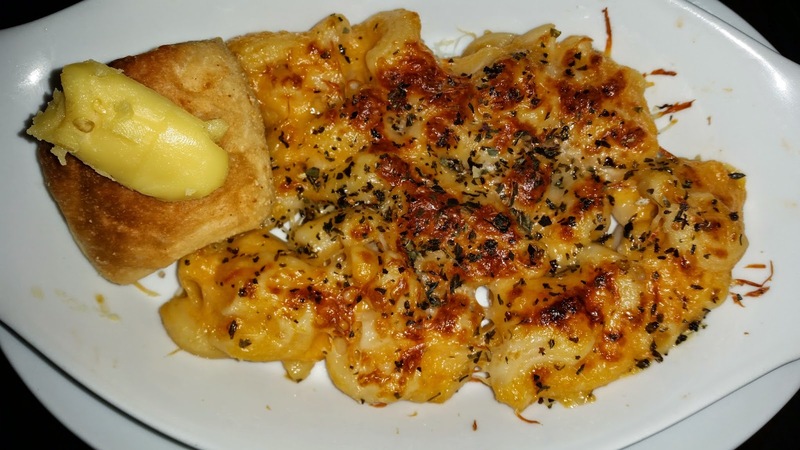 A great siding to go along with their meat dishes is the Mac N' Cheese (P120). It contains their special cheese sauce along with mozarella cheese. The pan de sal puts a nice finishing touch to this dish that's a great steal at only P120! 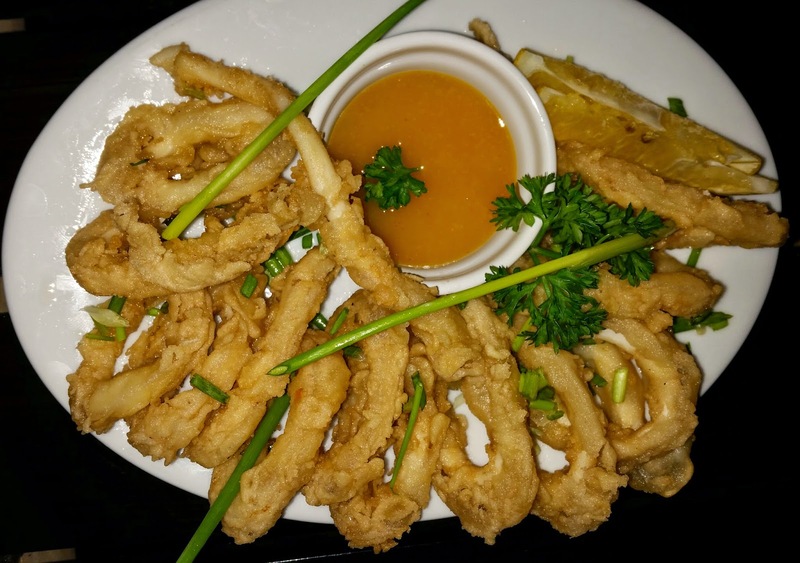 A popular dish that's ideal to pair up with beer is the Calamares (P175). You have the option of choosing between a spiced vinegar or honey mustard dip for this dish. I liked its crispyness and I thought it went best with the mustard dip. 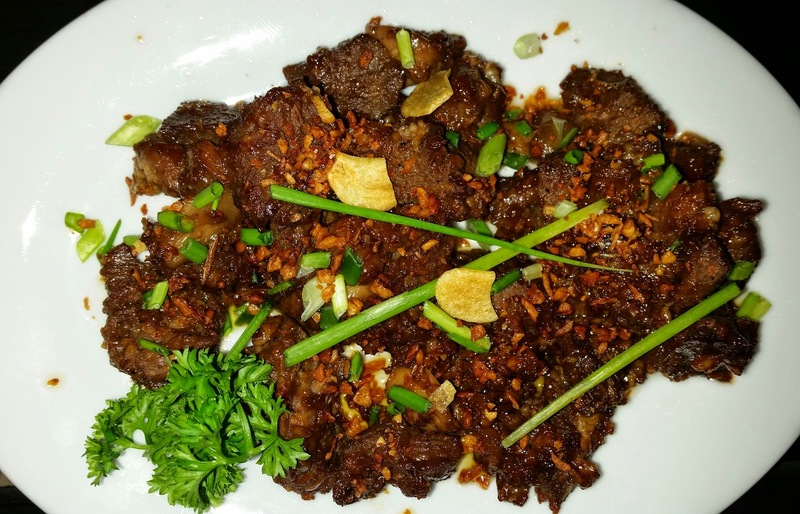 The Salpicao (P350) has tender beef cubes with rich sauce, garlic and mushrooms. However, all of us agreed that it is a bit pricey for the taste. Perhaps, a price of P225 would have been more suitable. 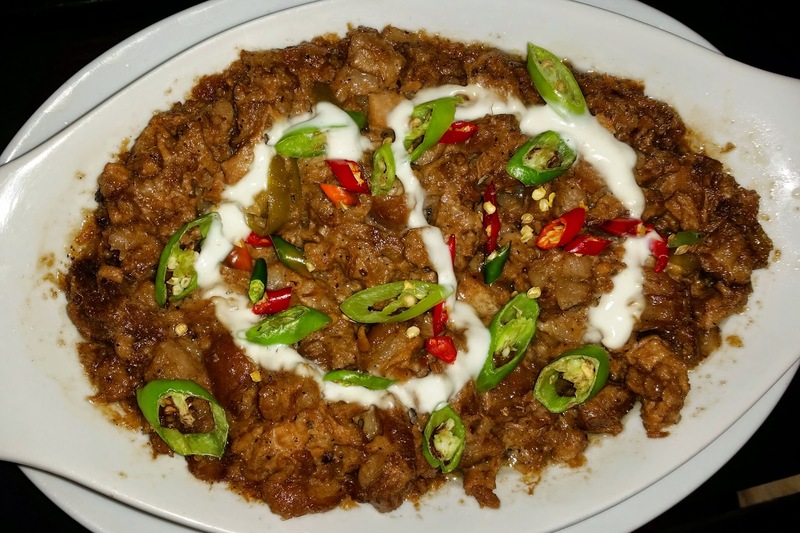 Those who like spicy food would be delighted at the Dynamite (P130) because it will surely give you an explosion inside your mouth due to its spiciness. 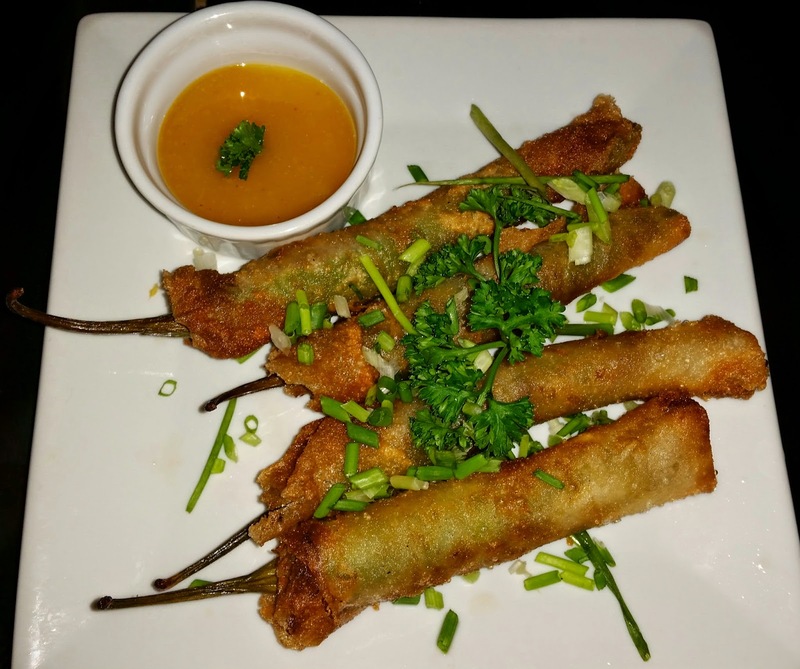 Inside each crunchy wrapper is a mixture of beef, cheese and green chili peppers served with honey mustard dip. 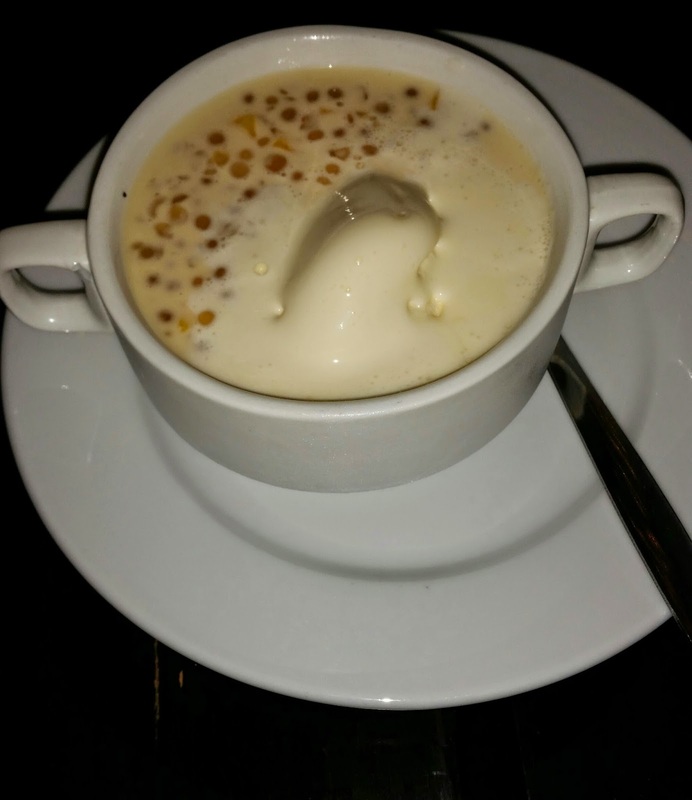 It was my first time seeing Mango Sago served with Vanilla Ice Cream (P90) and it is a combination made in heaven. I could eat several of this in one sitting and never get sick of it. If I had a hand in naming their dishes, I would have named this Tatsi's Tapsi just because I have a knack for creating creative names for food. 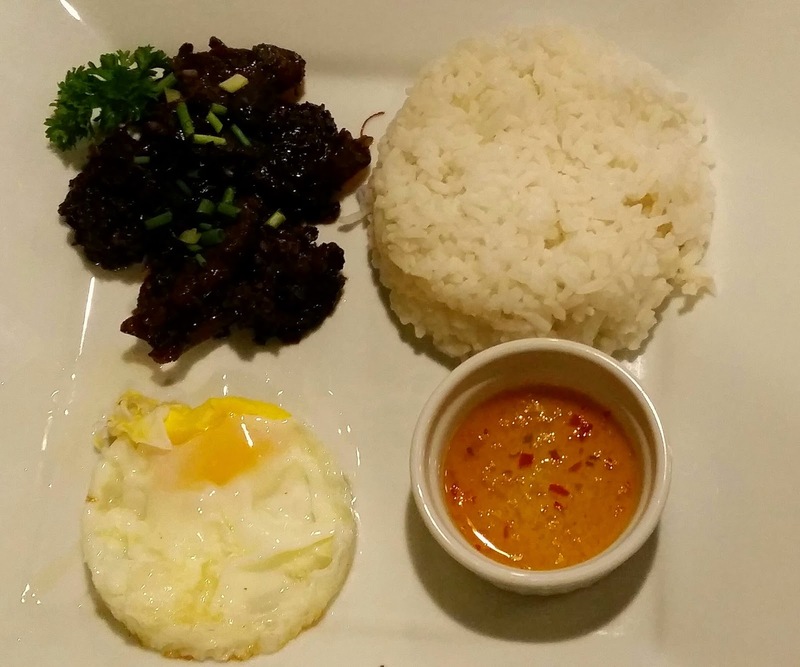 Nevertheless, the Beef Tapa (P150) contained garlic bits, plain rice, egg and spiced vinegar that along went well with the classic beef tapa. We had a nice chit-chat with owners Kathy and Tatsi. Kean also came and wanted a picture with us but we were already on our way out so it was pretty bad timing for him. Don't worry, Kean. I'm sure Ako'y Babalik.